With Mother’s Day this past weekend, our family is excited to move forward into Spring. What comes with Spring? 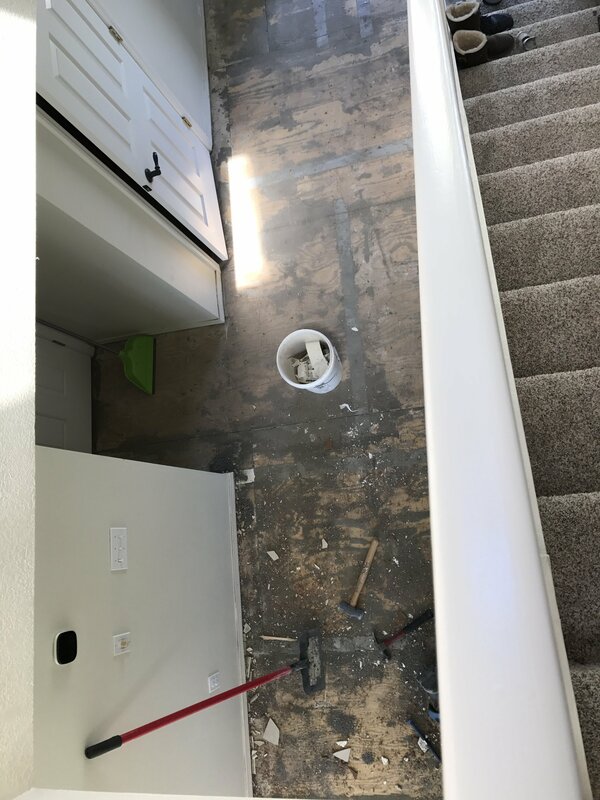 Cleaning, home projects, and for me, nesting! 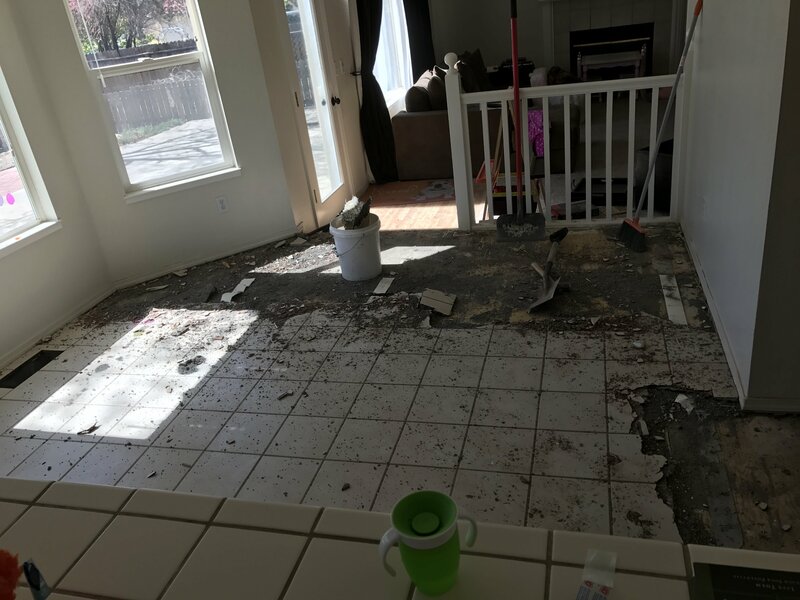 This past week or so has been a bit of a whirlwind because of the most recent project taking place in our home – the floors! My husband completed the installation of the vinyl laminate and it looks amazing! The feat, however, was not easy. We quickly came to the conclusion that if you want something done right, you have to do it yourself. I know, I know, cliche, and by now we should have already known this. To get an idea of the whirlwind we have been on, I made at least three dinner meals (quick and easy), and baked some Zucchini Banana Walnut muffins, but I didn’t take any pictures of them! …nor did I finish my post on chakras or dairy. 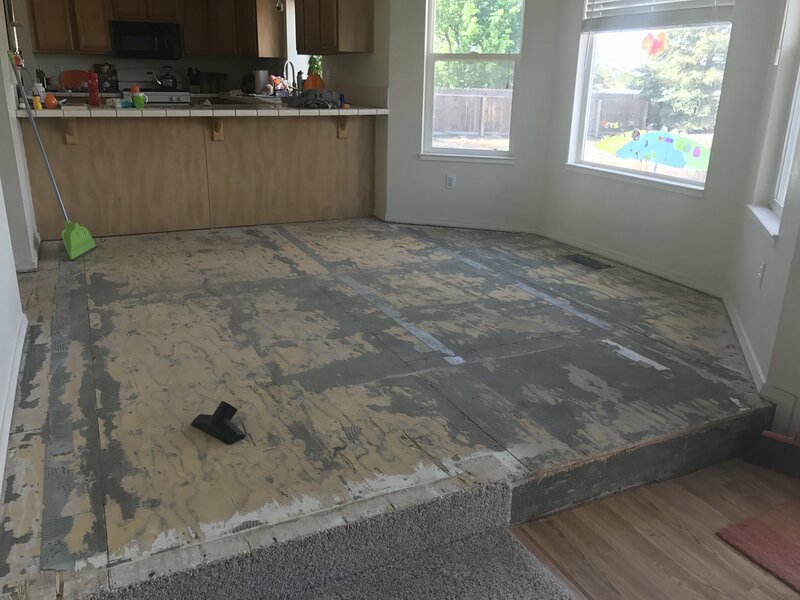 As far as projects go, now all we have to complete in terms of flooring (downstairs) is the kitchen and the half bath, both of which we plan to put tile in. What a relief! I feel like we are making some progress. Here are some pictures of the process. After the weekend, I’ll post some pictures of the finished product!